OMG hold on to your hats !!! This is a green polish and I love it !!!!!!!!!!!!!!! 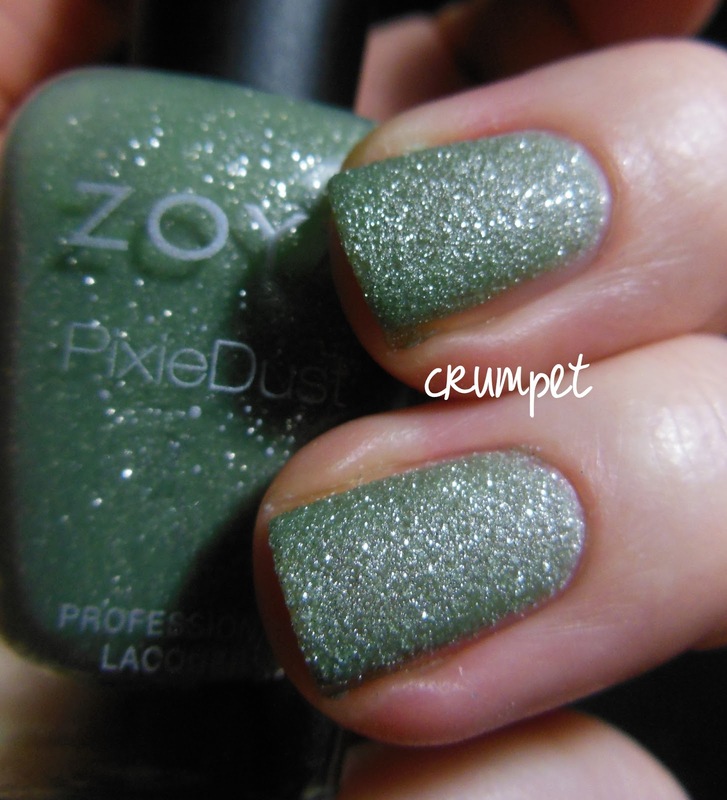 Phew, glad I got that out :) Welcome to the first of my Zoya PIxieDust posts. My plan was to show the 4 polishes I bought in one long post, but I fell in love with them SO hard, I don't think that can do them justice. Instead they're going to get a post each. We start with the amazing Vespa which has done the absolute impossible - made me love a green polish. Wow, I love this sooooo much. The tone is the perfect green for me - that sagey dusty colour. Love it. 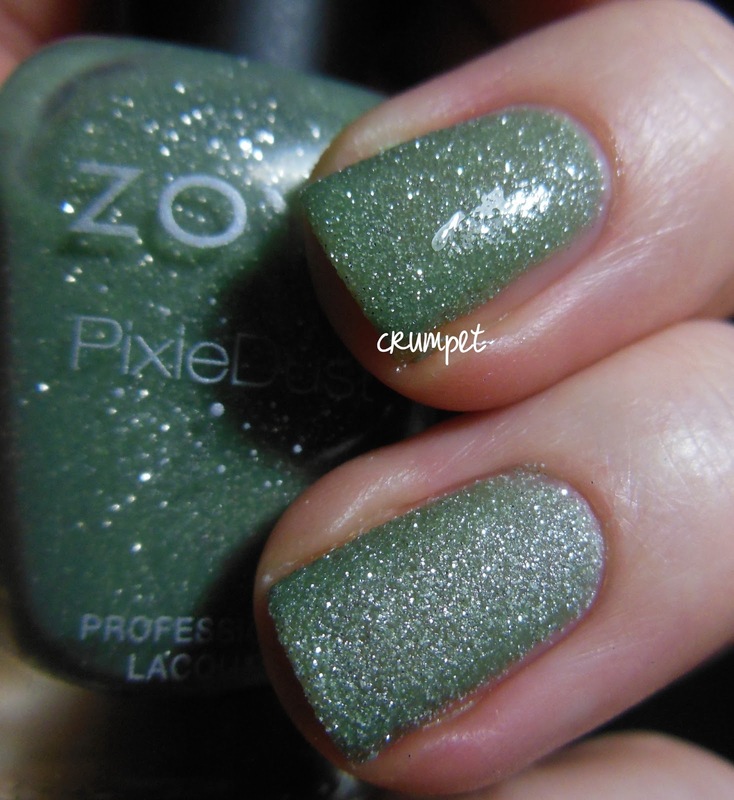 All the Pixies are laden with this amazing silver dust, which makes the manicure STUNNING. Seriously, I love this in it's matte state MORE than I love the glossed version. That's not to say I don't love the glossed version, I do, I do, I dooooooo, but the matte is so special and so unique. In terms of the texture, these polishes are closest to the Barry Ms .. but, oh my, seriously, they made me PURR.